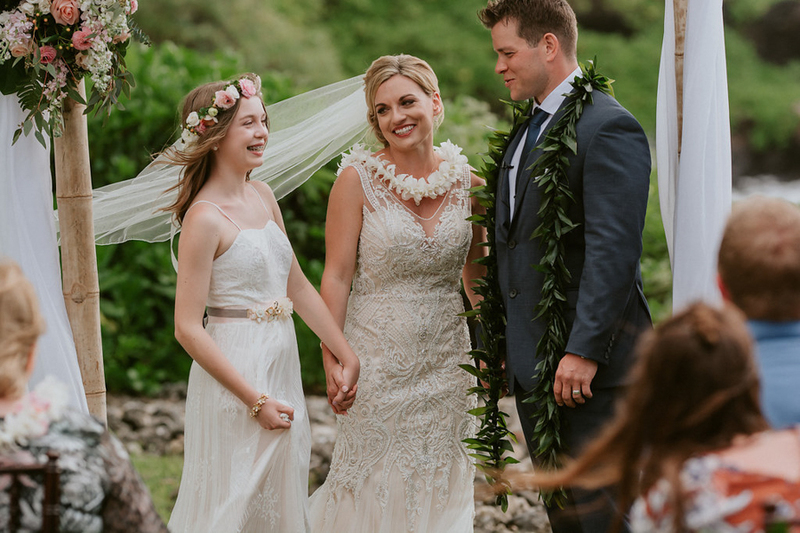 Including children in your wedding ceremony is one of the most touching elements of joining a blended family together. 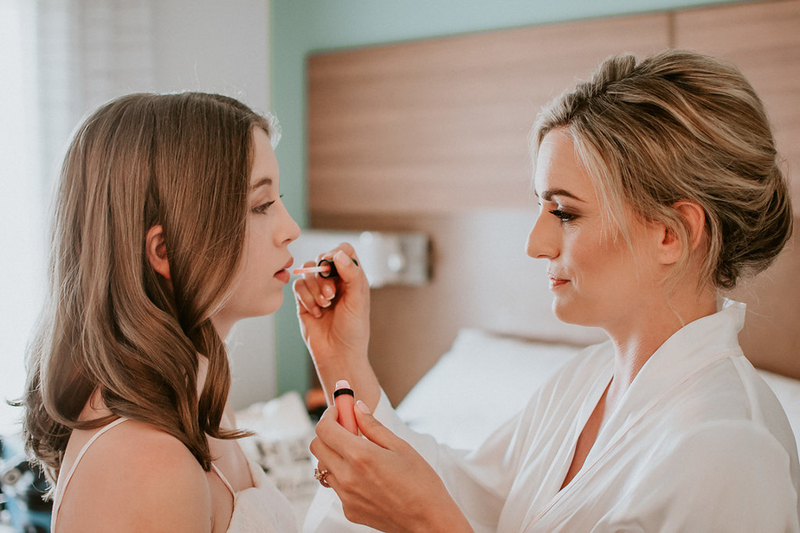 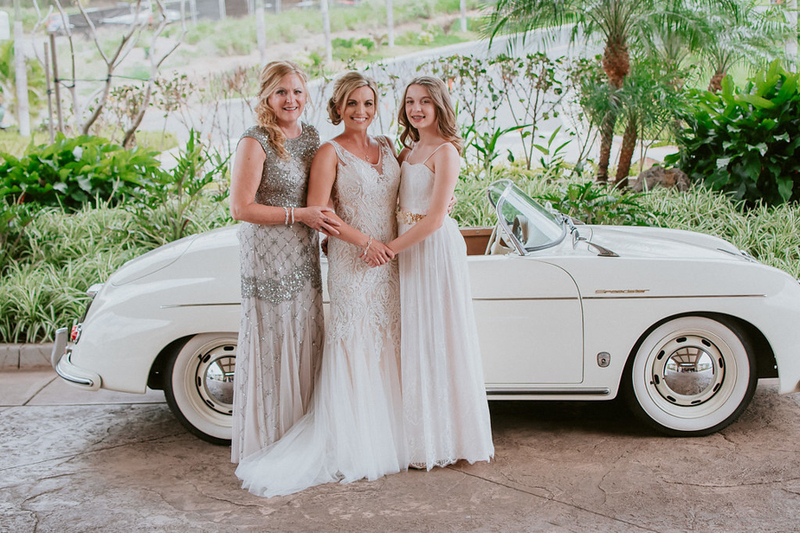 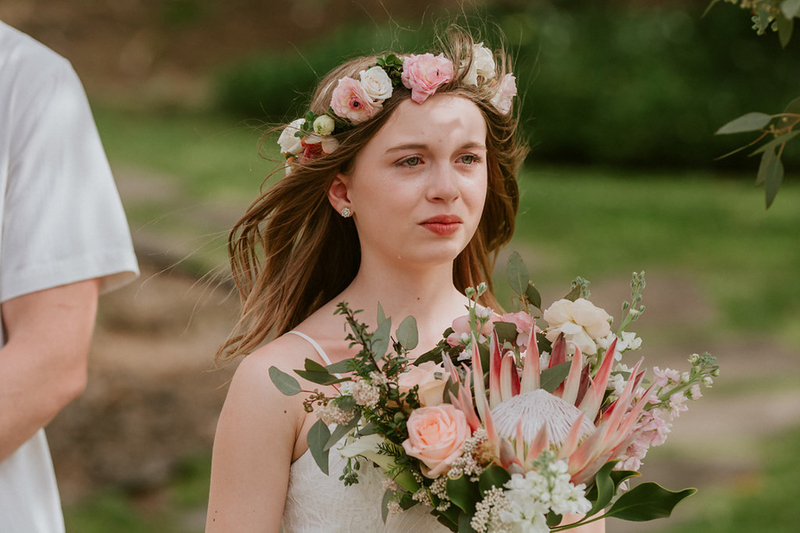 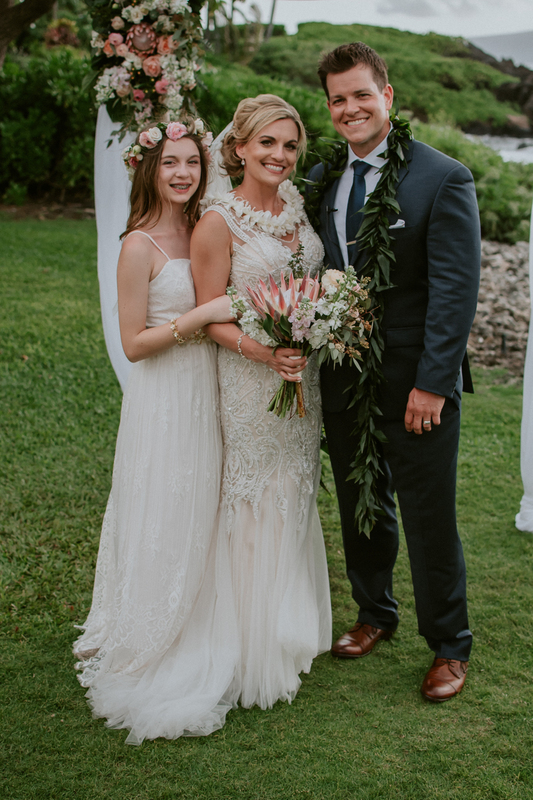 Our gorgeous bride Samantha and her handsome groom, James, wanted to make sure that Samantha’s 12-year old daughter was included in many aspects of their wedding celebration as possible. 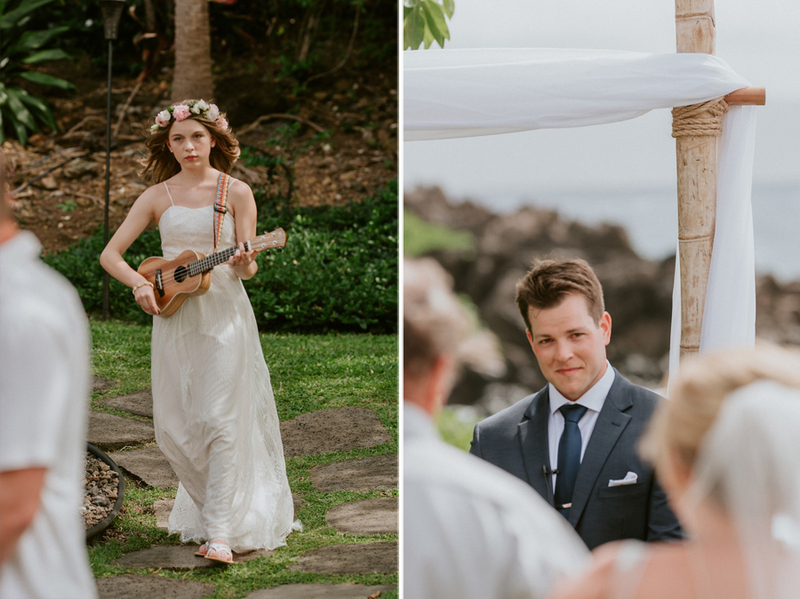 She was her mother’s Maid of Honor and also played the ukulele as she walked down the aisle. 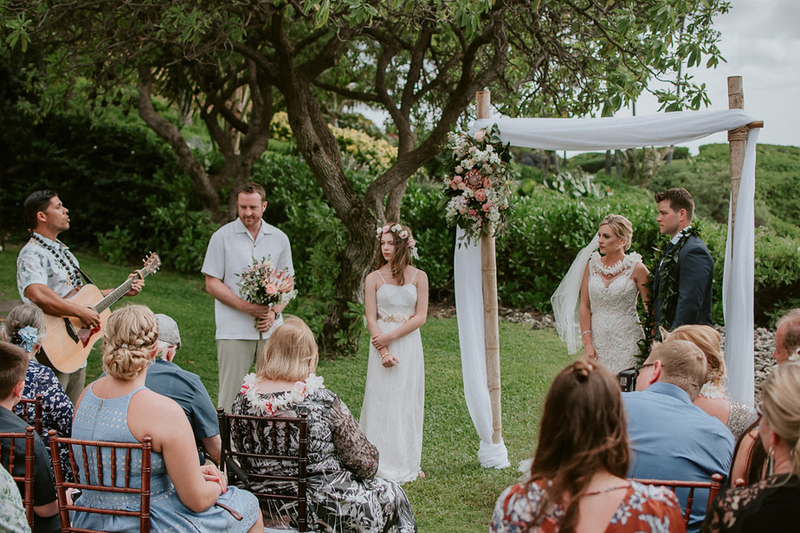 During the ceremony, Samantha and James surprised her by James presenting her with a ring and reciting his own personal vows to her. 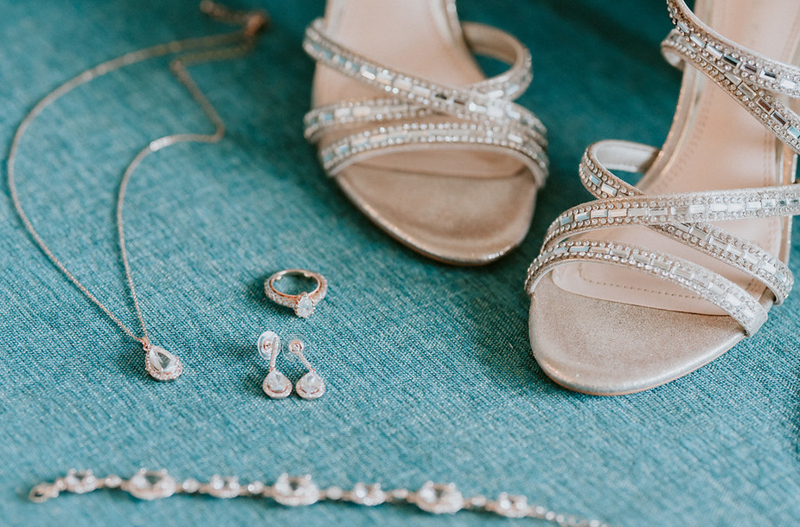 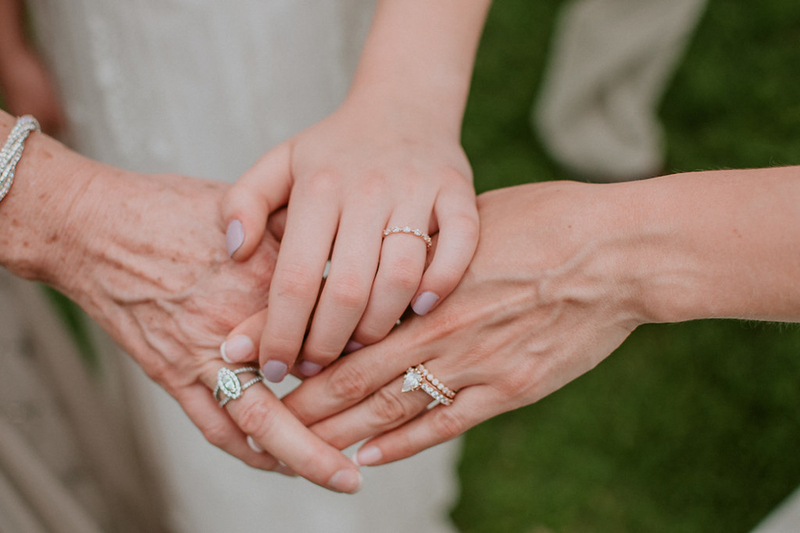 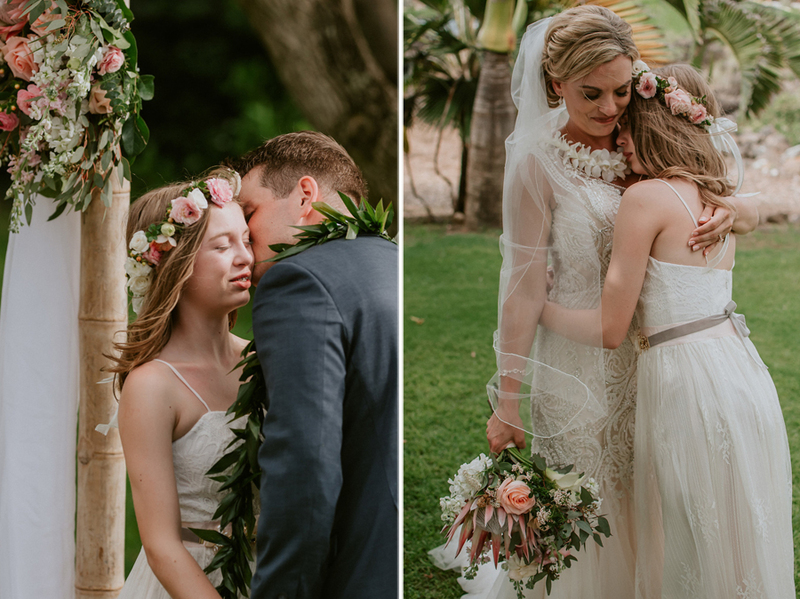 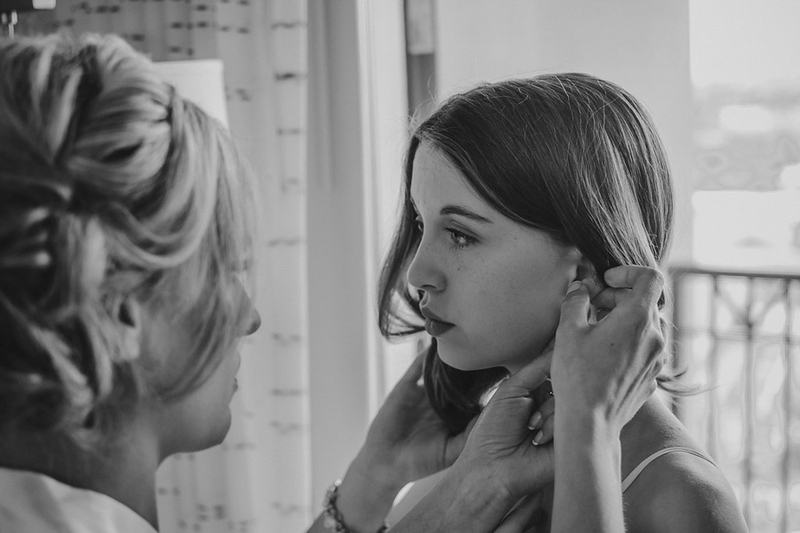 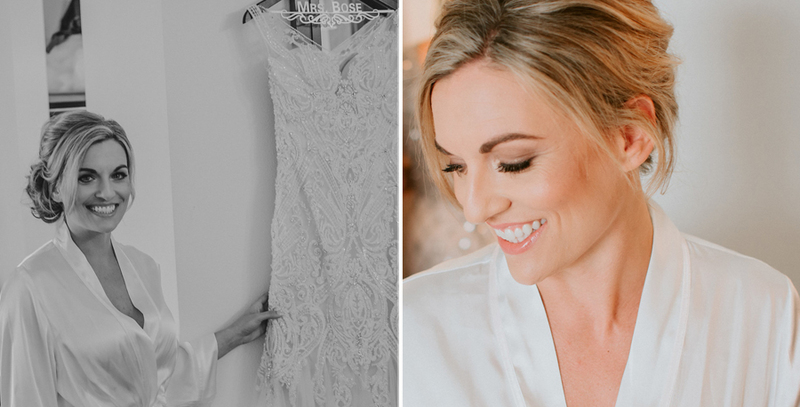 It’s safe to say that there wasn’t a dry eye in the house and such a beautiful way to make sure that she felt included in every part of their big day. 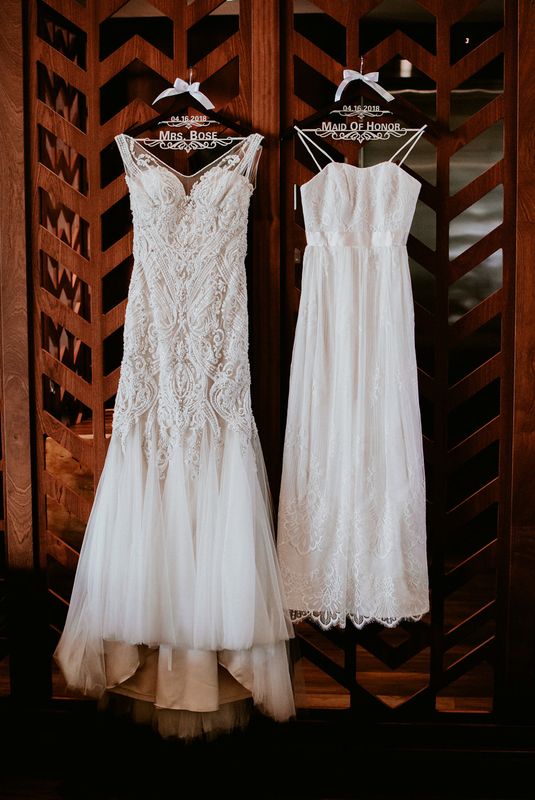 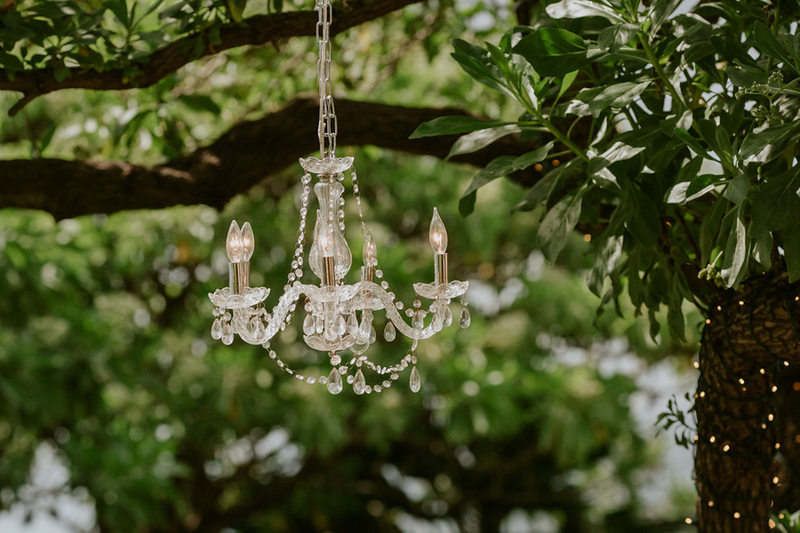 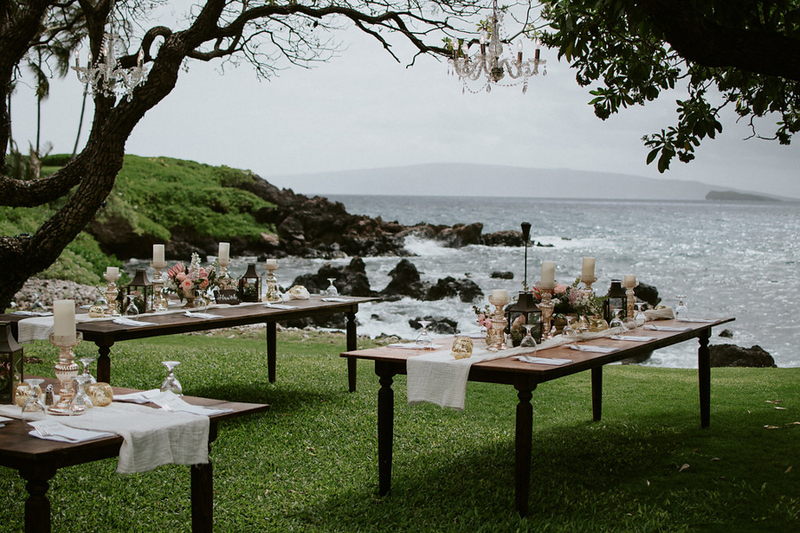 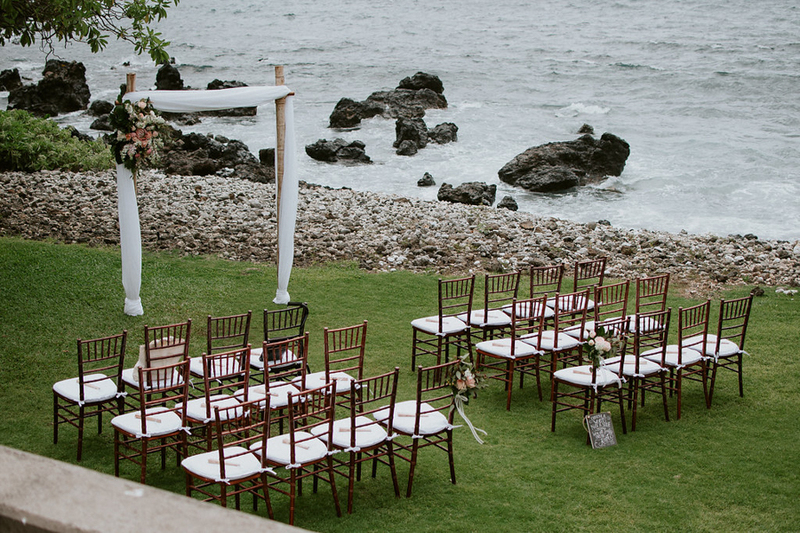 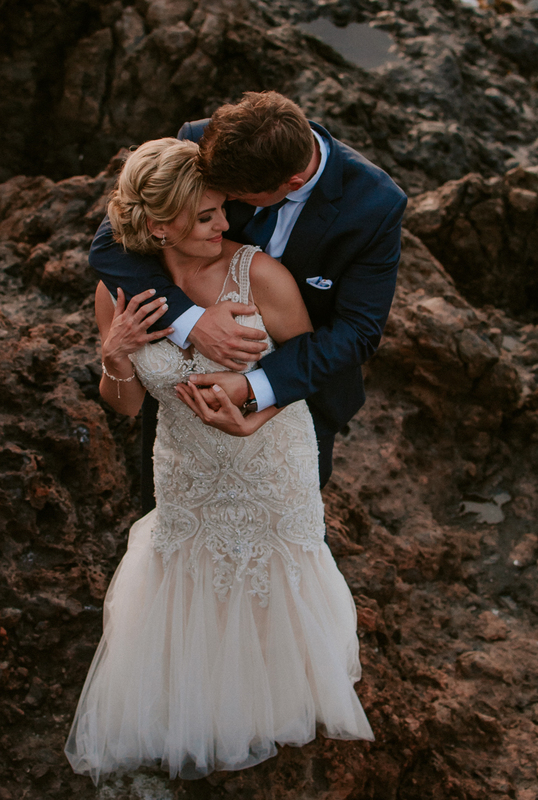 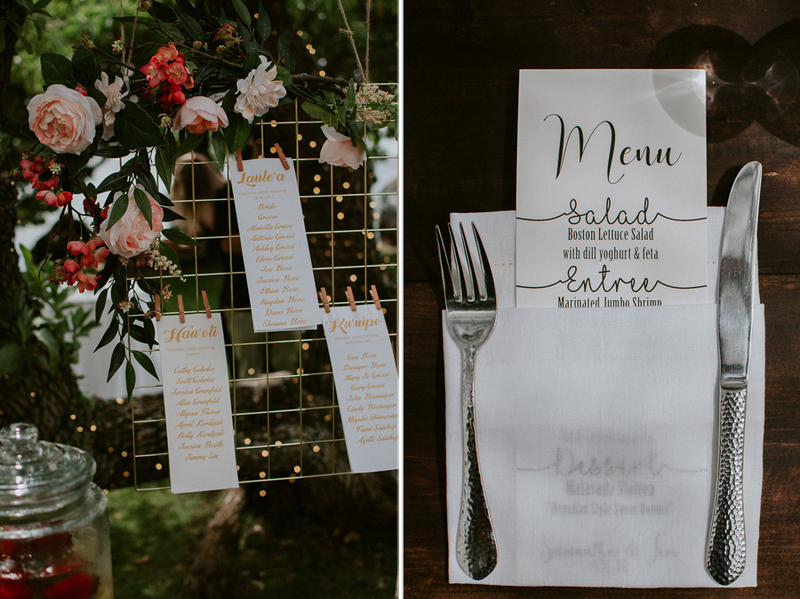 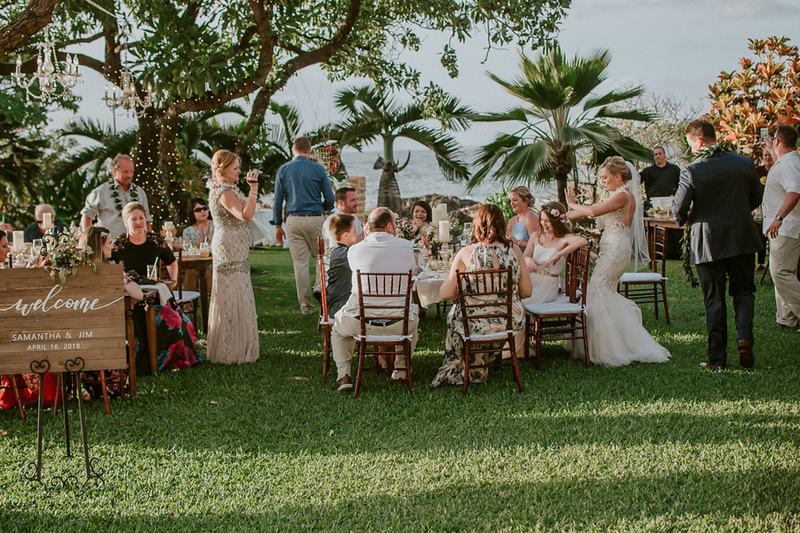 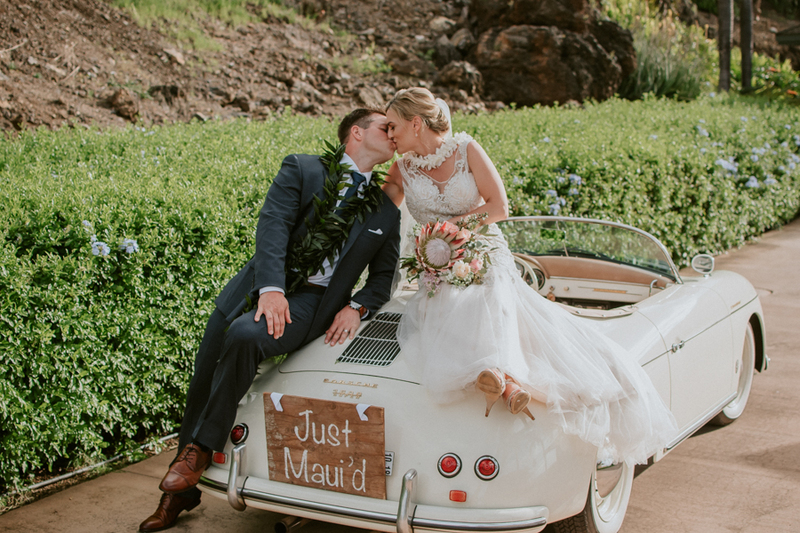 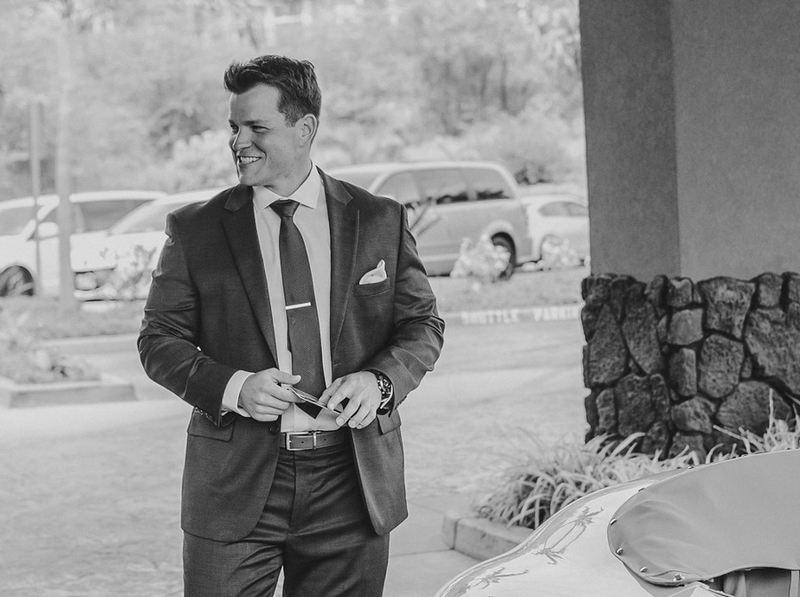 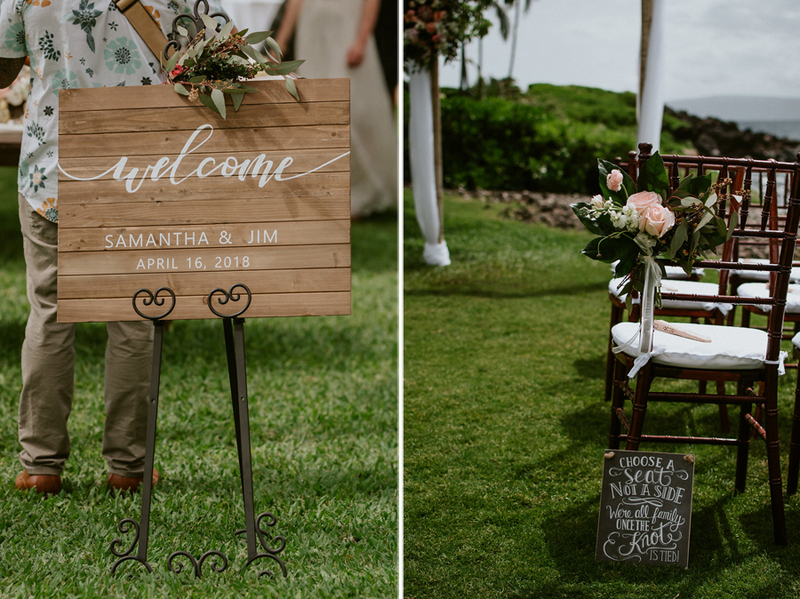 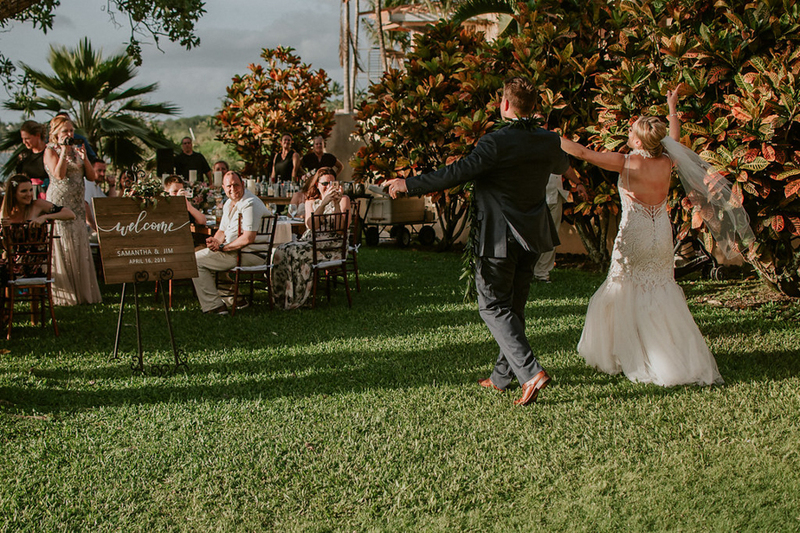 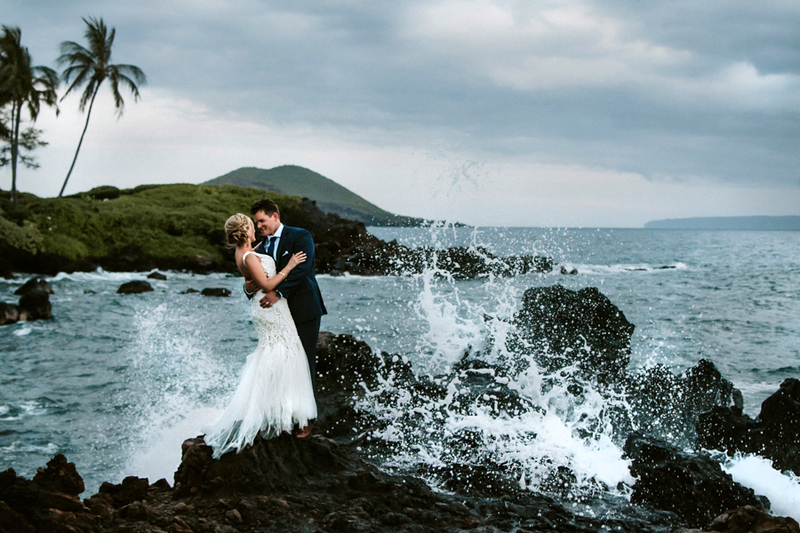 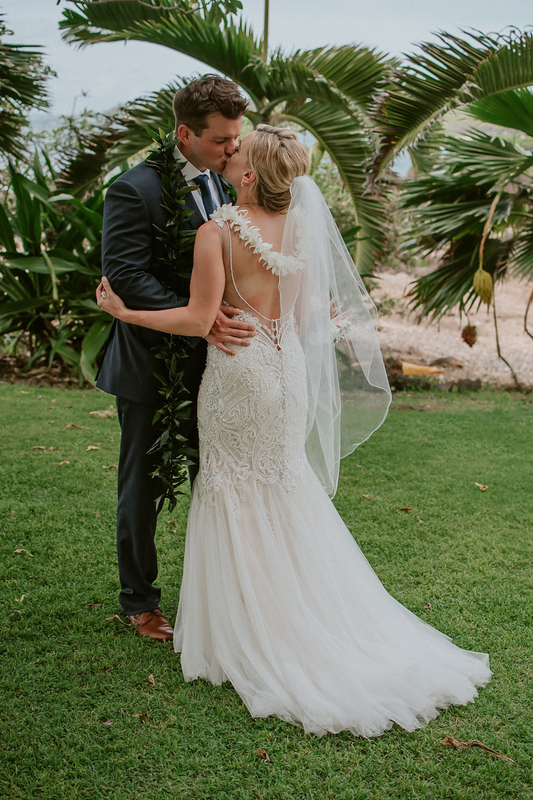 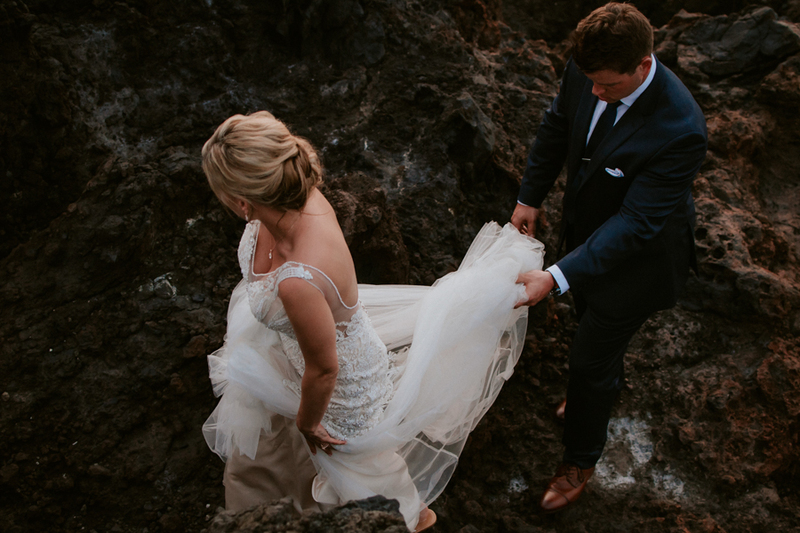 Two years after meeting on Tinder Samantha and James decided on having a simple, elegant and intimate wedding on Maui. 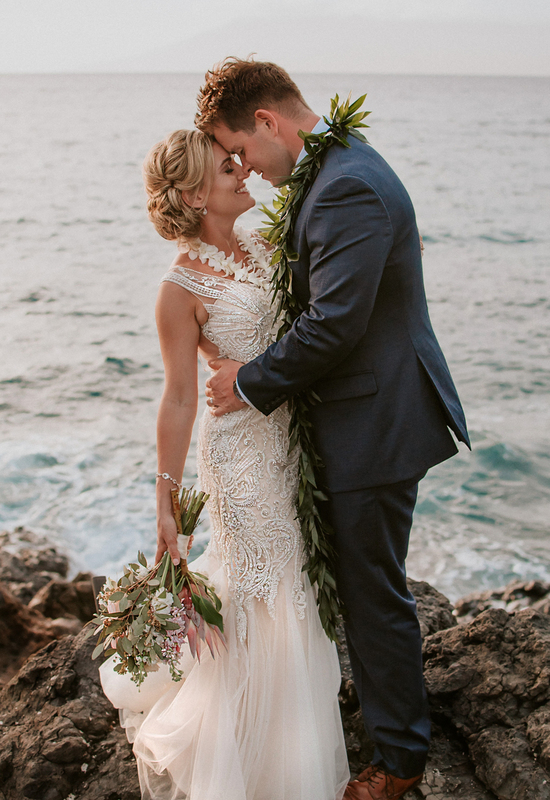 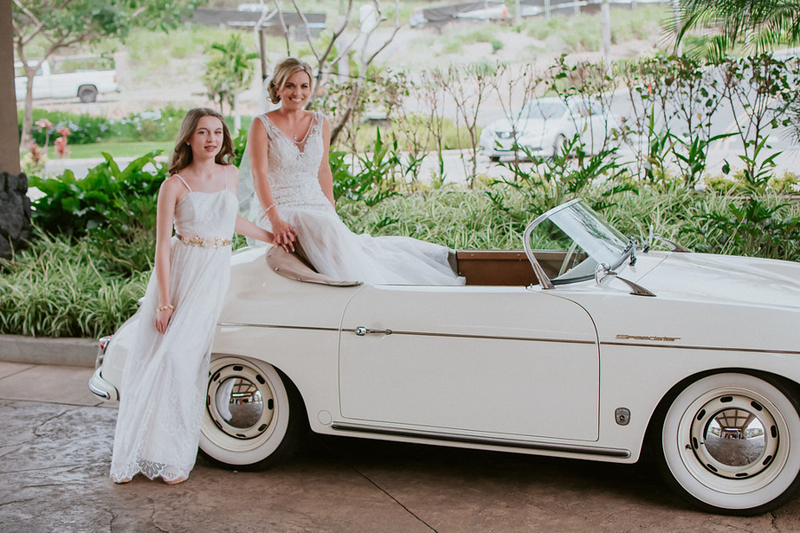 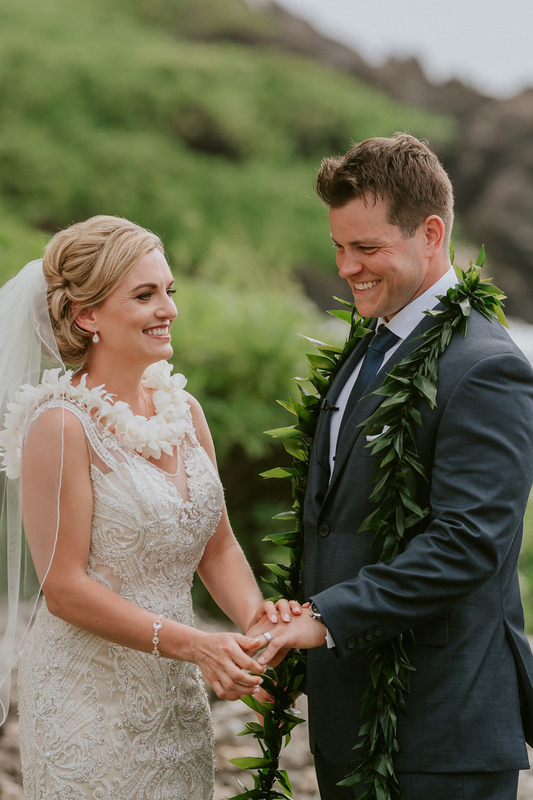 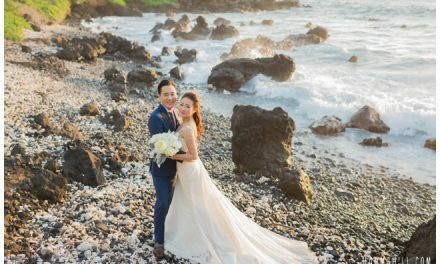 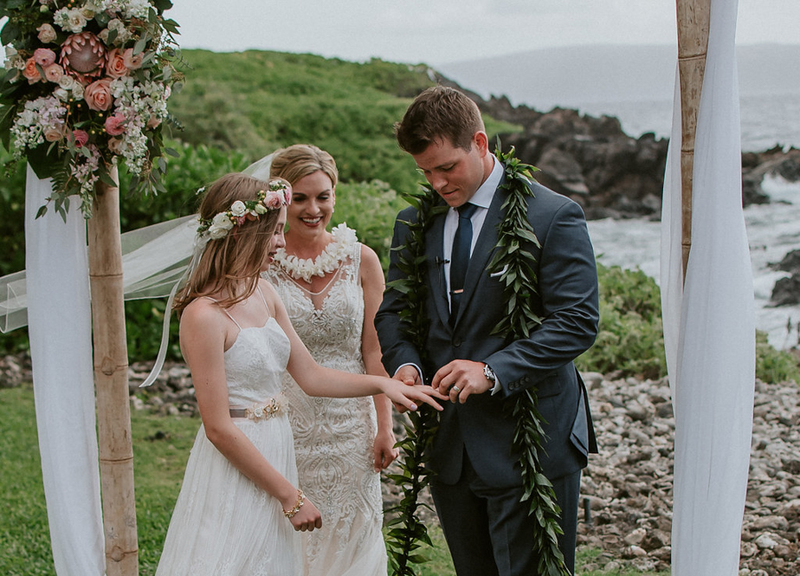 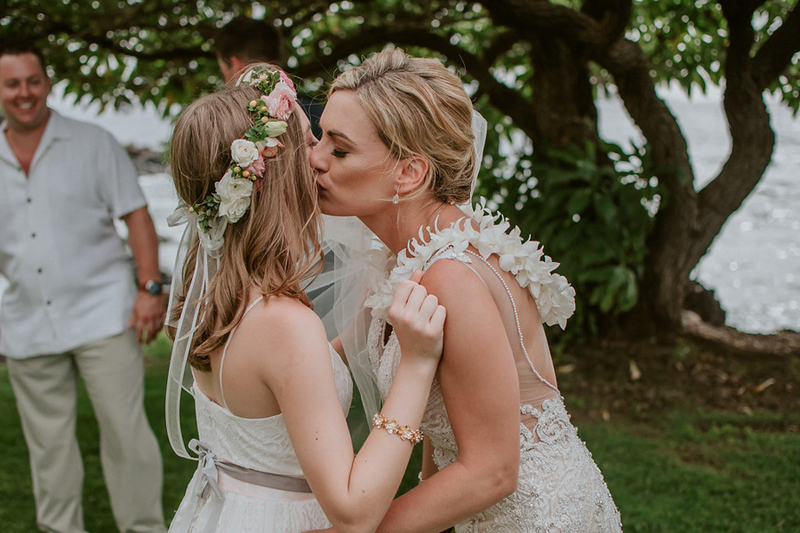 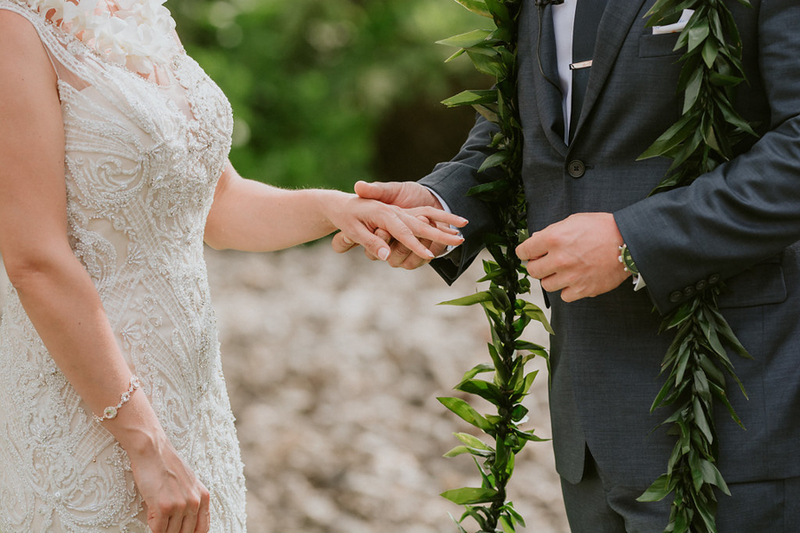 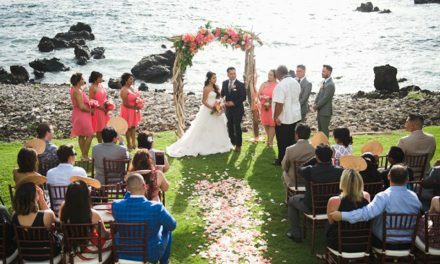 The most important thing for this beautiful couple was officially becoming a family, surrounded by all of their loved ones and the stunning beauty of Hawaii. 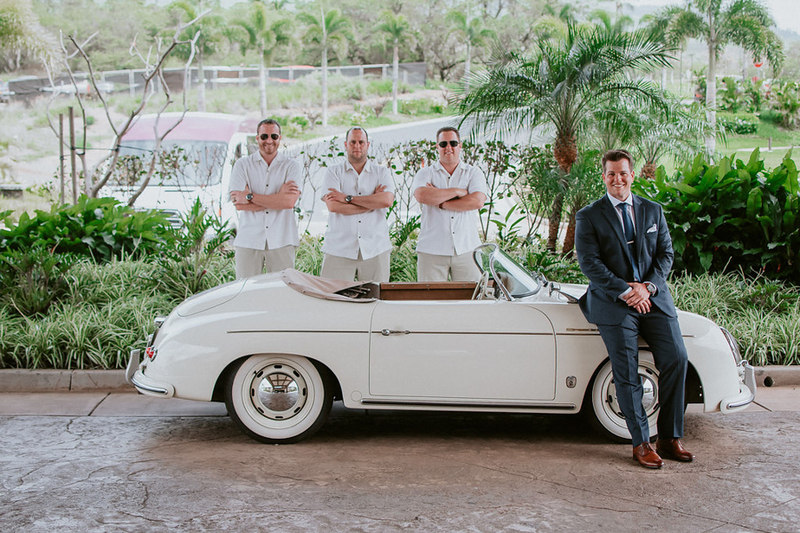 The bride and groom exchanged sweet gifts on the morning of their ceremony: a box of letters from the groom that the bride was not to read until the date printed on the front and a Porshe Speedster for the groom to use to travel to the ceremony in style. 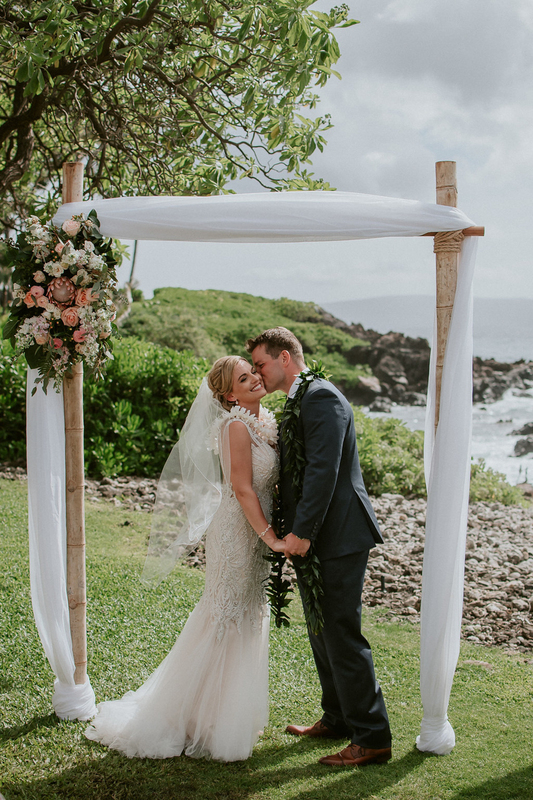 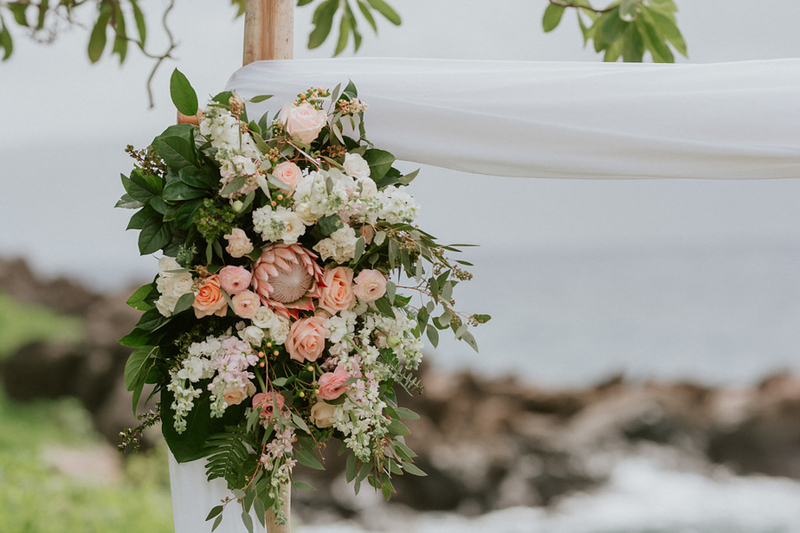 We brought the bride’s vision of simple elegance to life with a 2-post bamboo wedding arch draped in white fabric and adorned with romantic, tropical flowers in shades of ivory and blush. 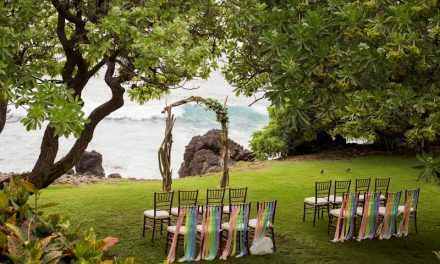 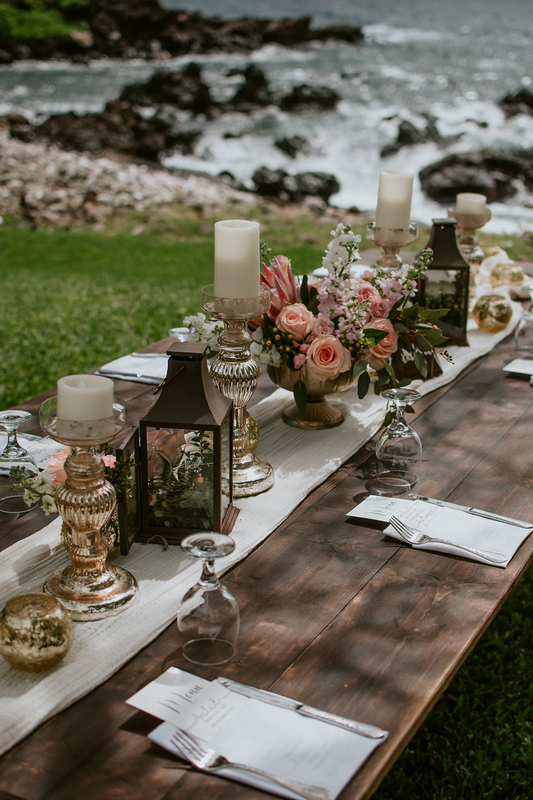 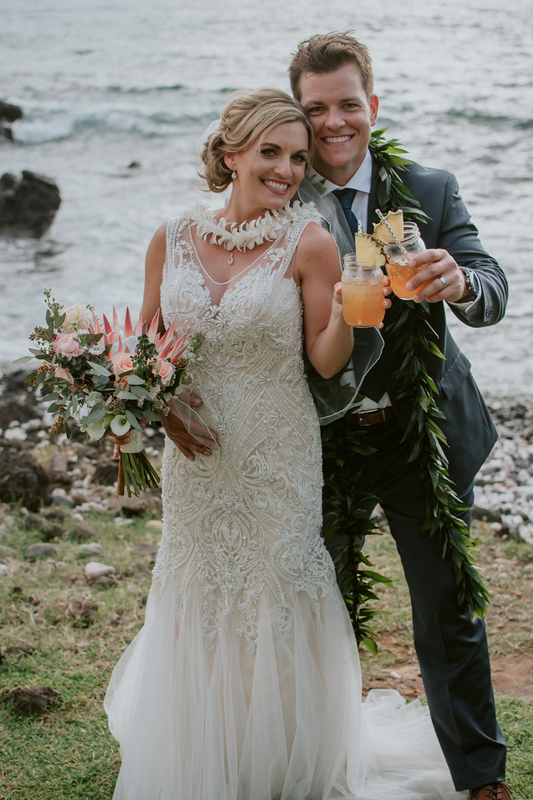 Guests were seated on dark wood Chiavari chairs and were treated to an amazing cocktail hour while the bride and groom enjoyed a few moments alone along the rugged coastline of Maui while having their first official portraits taken as husband and wife. 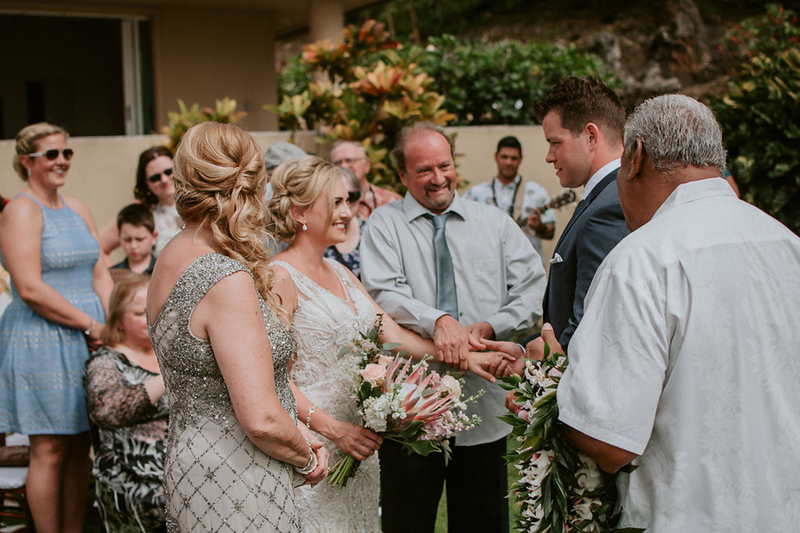 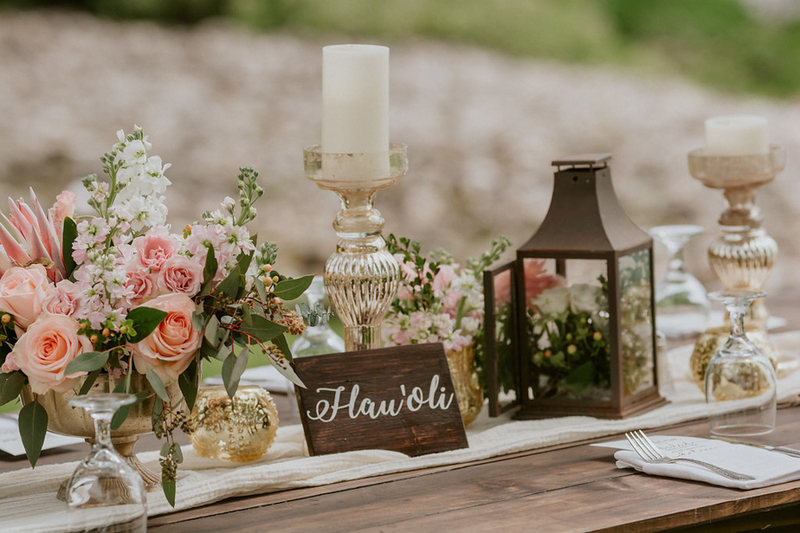 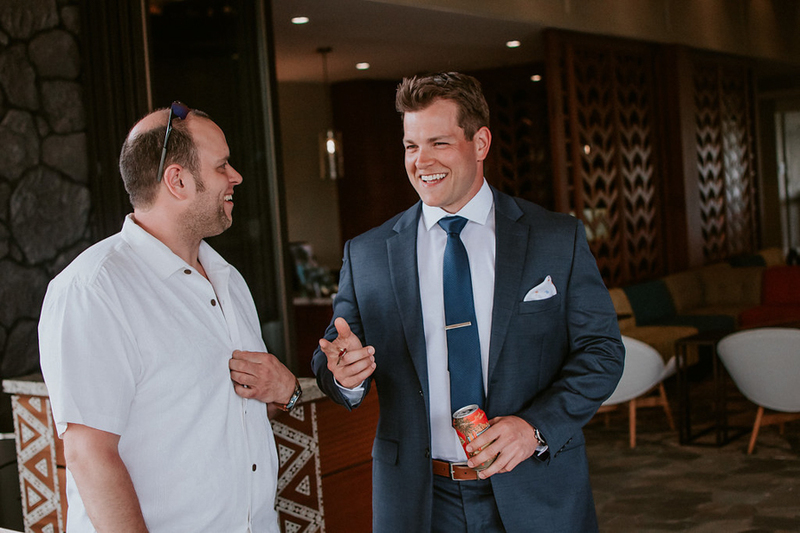 Guests cheered with delight as they entered into their reception, with tables lined with tropical flowers and a delicious meal to celebrate the new Mr. and Mrs., everything was perfect as they enjoyed their first evening together with their families as husband and wife. 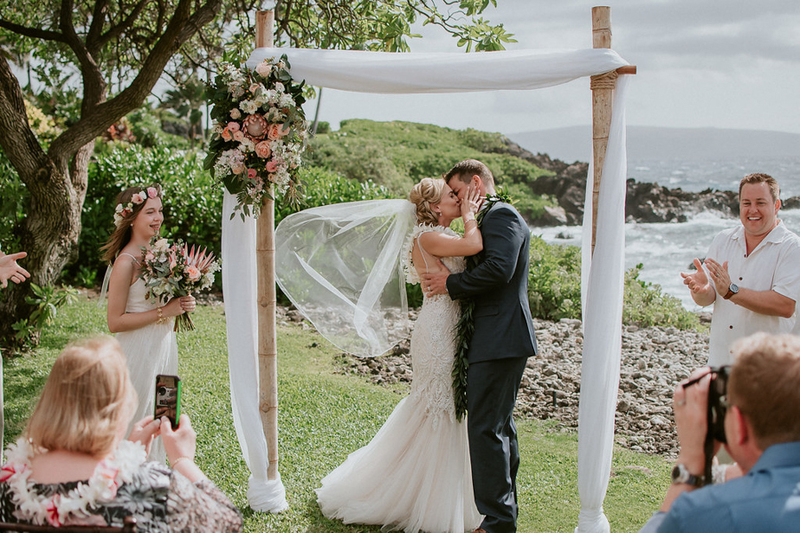 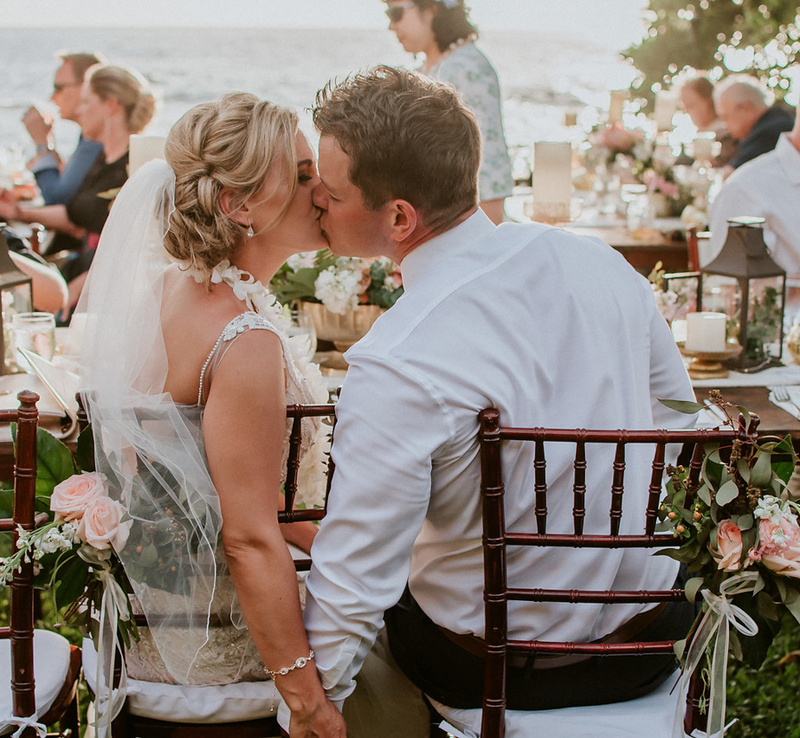 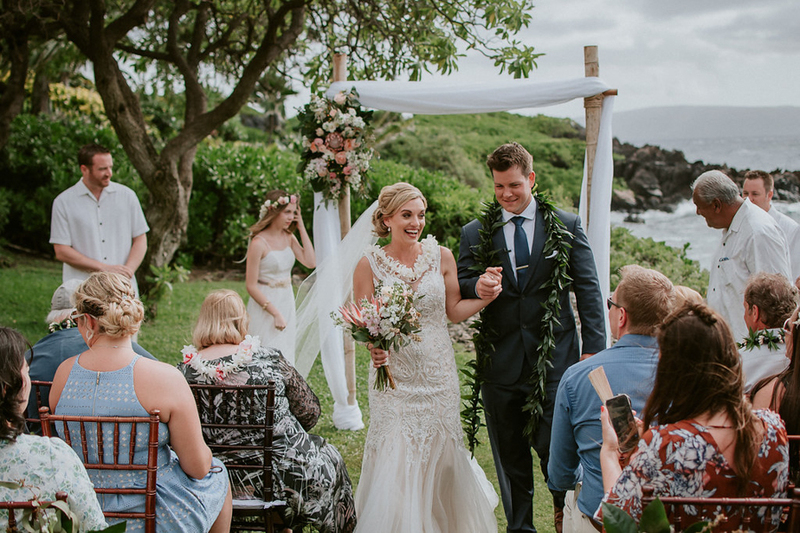 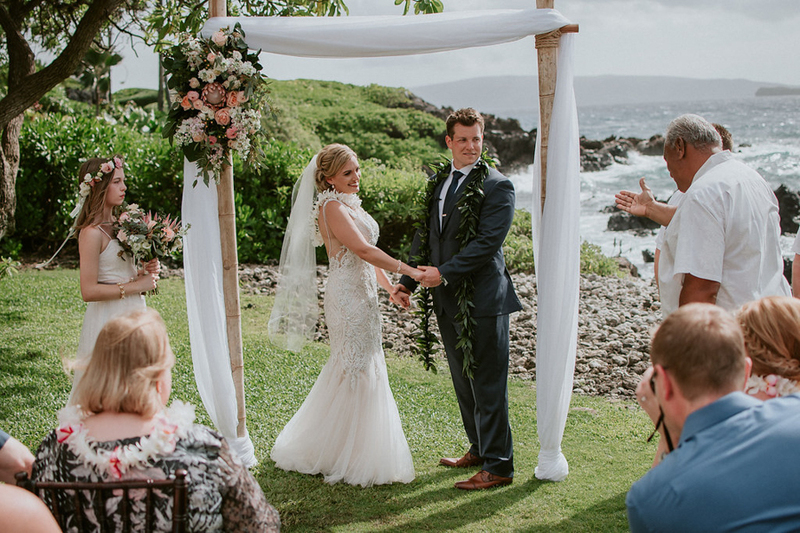 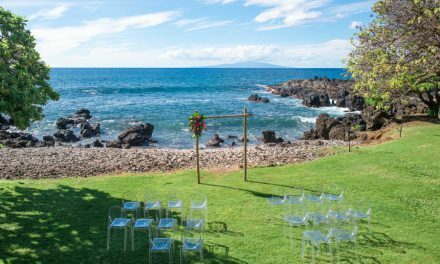 Congratulations to the newlyweds and thank you for choosing Makena Weddings as your Maui wedding planner, it was an honor and a pleasure being a part of your amazing day!